5th June 2014. Shotz - Exclusive Special 28 Hours Only; 47% Off Mega Sale - Available Until Stock Sells Out; Free Race Belt with Every $30+ Order. 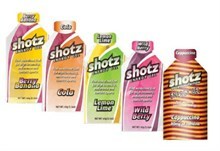 The entire Shotz range is now available for 25% off RRP when purchasing in box quantities! Now is the time to stock up for summer, and hurry because this exclusive offer is only available for 28 Hours (sale ends 3pm WST 6/6/14). View the entire range here, or click on the images shown below to access special pricing on Shotz Gels, Electrolyte Tablets and Bars. 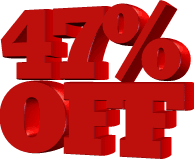 Great news for bargain hunters - we've slashed prices off a huge range of products in the TriathlonOz Shop with an incredibly low 47% discount! Spend over $30 in one transaction from our Shop and you'll receive a Race Belt absolutely free! One size fits all (adjustable), with a lace lock (toggle) design for attaching your race number, this belt is also the perfect accessory for a TriathlonOz Trisuit!